The Saudi Arabian government has built a new school named, King Abdullah Academy located Herndon, Virginia, just outside of Washington, D.C. The school caters to children from Pre-school to Grade 12. The King Abdullah Academy replaced the existing Islamic Saudi Academy due to the facility’s age and ongoing maintenance needs. The school is organized and operated as an international school with a dedication to culture, inclusiveness, dual language Arabic/English programs, and an outward-looking vision. Students are able to become entrepreneurial global citizens committed to their own religious and cultural inheritance and comfortable with those from different backgrounds. 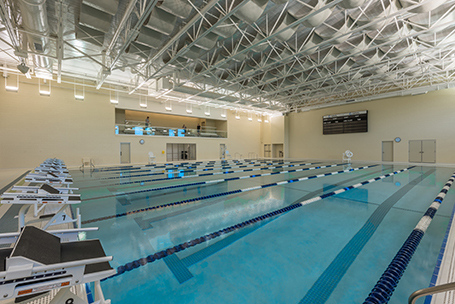 ​Counsilman-Hunsaker was the lead aquatics consultant for the eight lane, 25-yard competition pool specifically designed for the school’s swim team as well as recreational swimming.